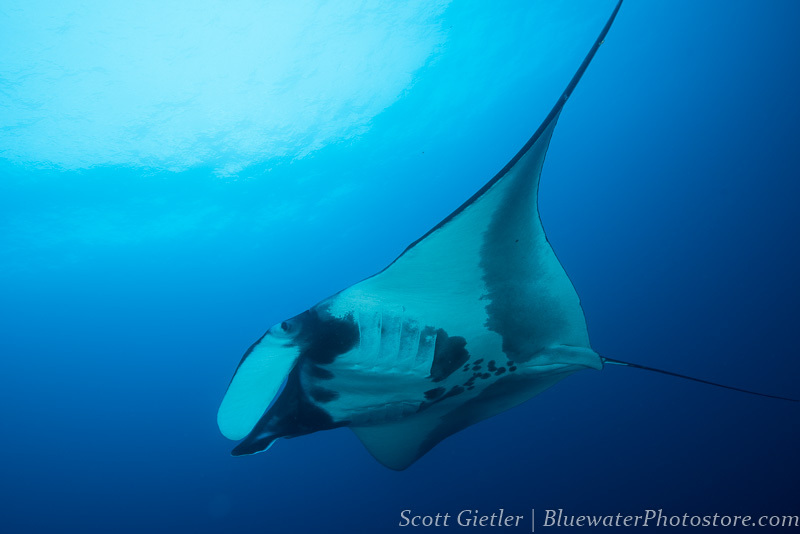 This will be an epic 7-night trip to see hammerheads, mantas, penguins, batfish, seahorses, Galapagos sharks and more. The trip is timed for the best hammerhead encounters, best visibility, and best water temps. 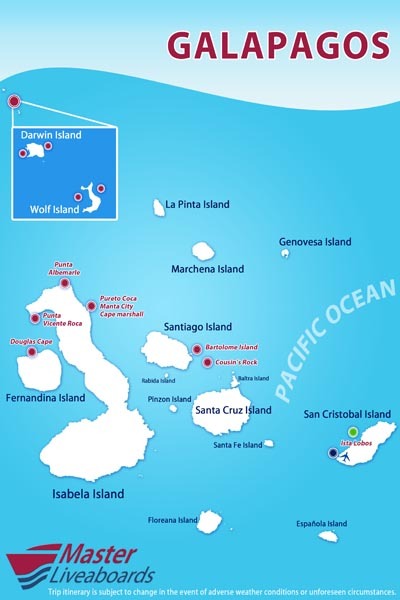 The trip will be on the excellent Galapagos Master. 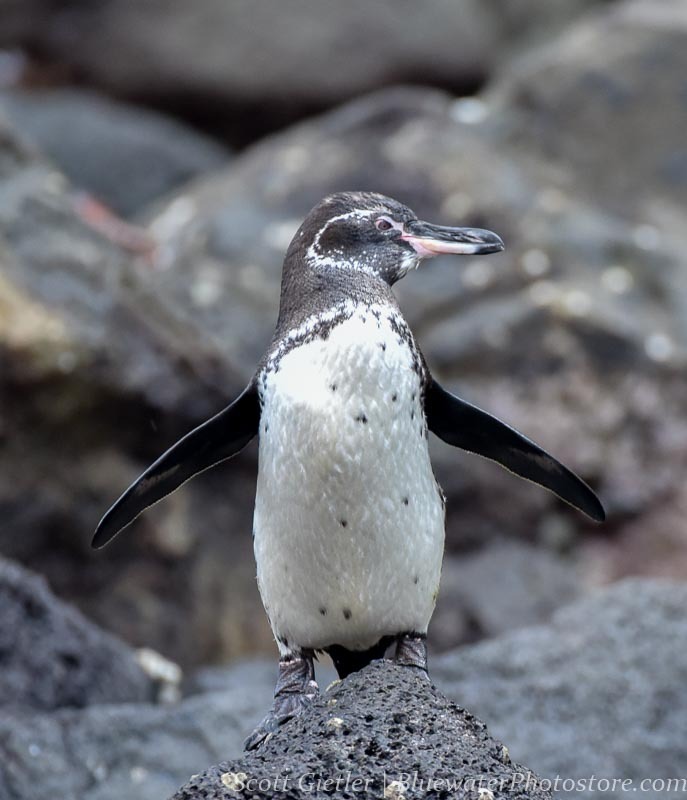 The unique and isolated islands of the Galapagos are home to truly extraordinary creatures: Schooling hammerheads and a large variety of other sharks, mantas, sea turtles, and sea lions, as well as endemic species such as penguins, flightless cormorants, and extensive schools of fish. Scott has done extensive research to choose the best possible time of year and route for this trip. He will be making sure photographers and non-photographers alike have an incredible trip. The Galapagos Master is a first-class yacht with capacity for just 16 divers. Its spacious cabins and well-designed dive amenities ensure a comfortable and relaxing trip. A spacious indoor lounge boasts cushioned bench seating and a plasma screen for photo viewing, and there is an indoor camera set-up station with numerous charging points and storage drawers situated to the rear, providing ample room for a full photography charter group. 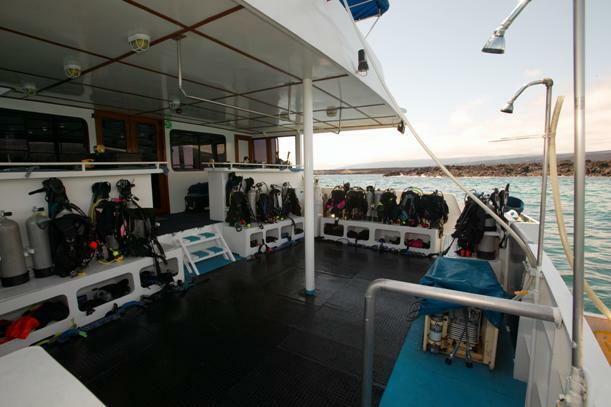 Further camera preparation areas can be found on the rear deck next to the dive deck. 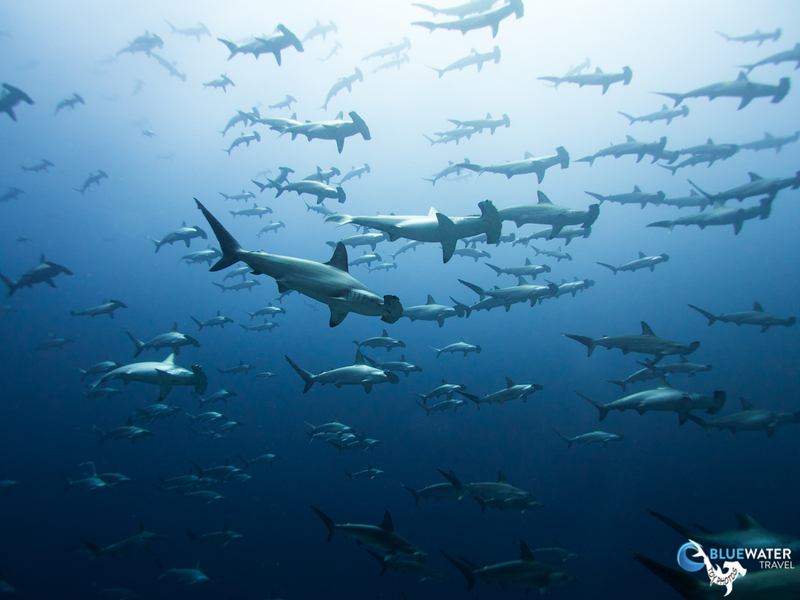 Thanks to their extreme isolation, the Galapagos Islands have some of the most unique marine life on the planet. 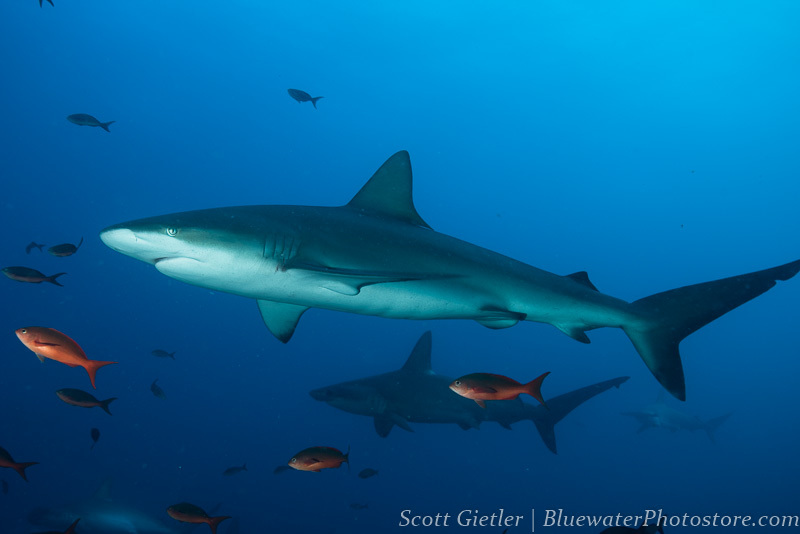 Here are just a few examples of marine life you're likely to see: dolphins, sea lions, penguins, turtles, marlin and large schools of fish, silky sharks, Galapagos sharks, whale sharks, reef sharks, hammerhead sharks, eels, and manta rays. This is a wide-angle photographer's paradise, but don't leave the macro lens at home: frogfish, octopus, seahorses, nudibranchs and other small subjects are found at various dive sites. Finally, visitors often encounter penguins and flightless cormorants. This is in the middle of the season and is cooler with frequent mist and overcast days. Winds can create rougher seas at times. Water temperature is 60-75F (16-24C). 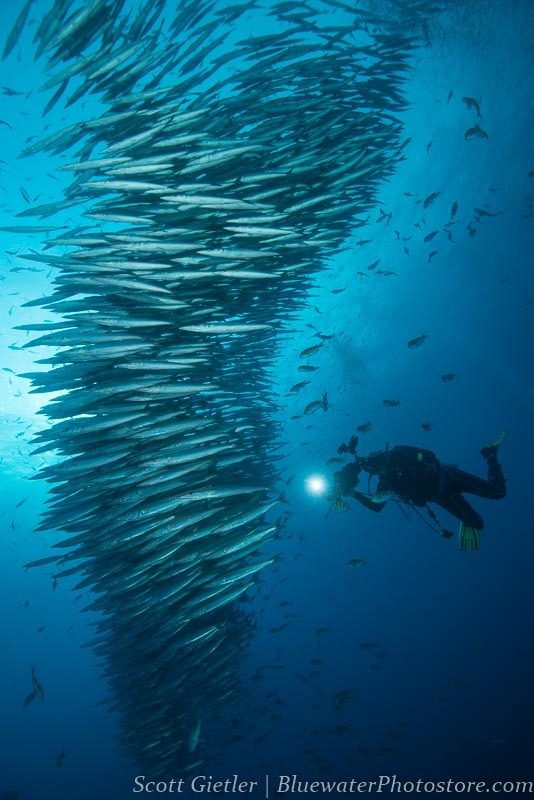 While colder, the trade-off is the rich currents bringing nutrients into the islands, resulting in more abundant marine life. Visibility is slightly less as a result. The itinerary can be variable and will be planned according to the direction of the trip leader and cruise director on board. They will have a good idea at that time of the conditions at the various locations. 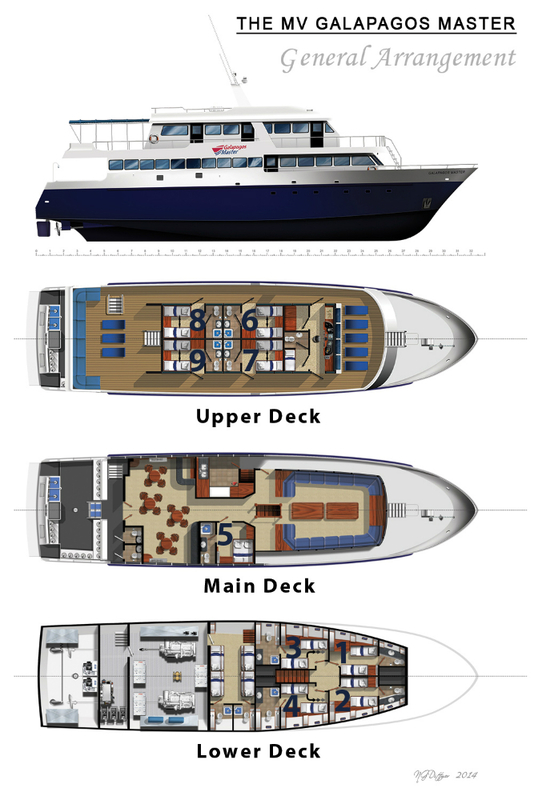 The new Galapagos Master liveaboard used to be the "Deep Blue" - a very well-laid out boat. The Master Liveaboard fleet, owned by the Siren Fleet (WWDS), is refitting the boat with new engines, new compressors, new generators, new water-makers, individual air-con, an entertainment system in each room, a dedicated camera station, new dive gear for rent, and Nautilus lifelines, along with many other small improvements. 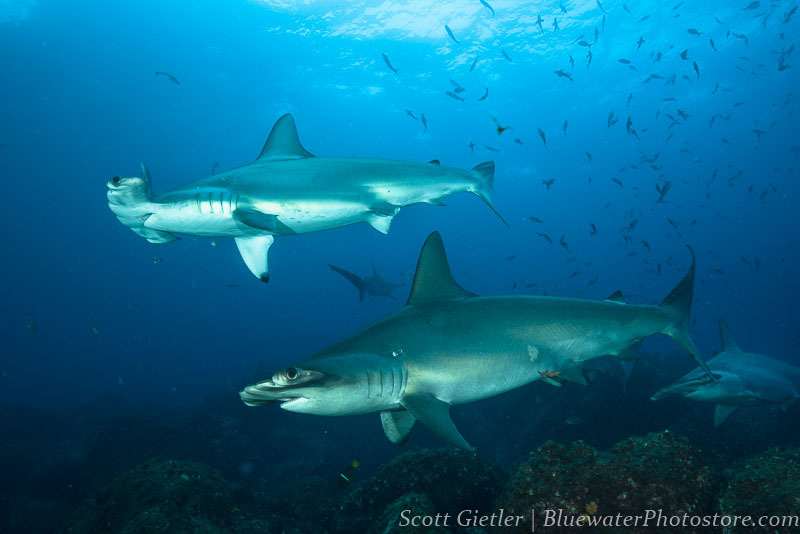 Read the report on our previous Galapagos trip and great reviews of the Galapagos Master! 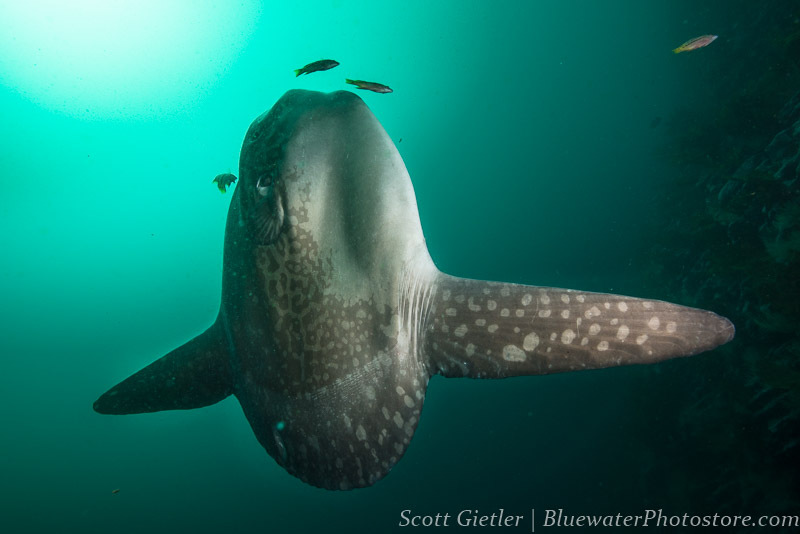 Craig Dietrich is an award-winning underwater photographer based in Jupiter, Florida. From an early age Craig felt the need to express himself artistically and the first time he picked up a camera, he knew he had found the perfect outlet for his creativity and sparked what would become a life-altering passion for photography. Craig served our country as a Naval photographer during both Operations Desert Shield and Desert Storm, when he was given the opportunity to travel the world and his thirst for adventure was born. After the Navy, Craig learned to scuba dive. Upon breaking the surface the first time, he knew this was a world he wanted to be a part of and a second passion was ignited. Longing to share that world with others, he put together his two greatest loves and ventured into the world underwater photography. 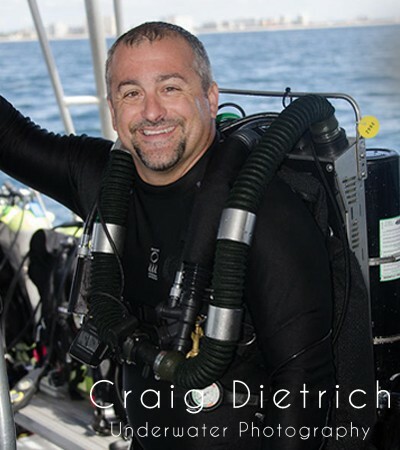 Craig’s underwater photography has been featured in multiple dive publications, won multiple awards and has been sold in upscale galleries from Carmel, California to Fort Lauderdale, Florida. He now makes his living teaching underwater photography and selling his photography at art shows throughout the southeastern United States. To learn more about Craig’s work, visit www.dietrichunderwater.com. The trip will begin and end in San Cristobal. When the time comes (no sooner than 1 year before departure) we can assist you with flight suggestions and booking. Guests will fly into Guayaquil International Airport (code GYE) or Quito (code UIO), then take one of several daily 1-hour flights to San Cristobal (code SCY). Embarkation begins on July 20th; it is recommended that guests arrive on the 19th and stay in a nearby hotel, although if you are tight on time it is still possible to arrive on the 20th and immediately board the boat.